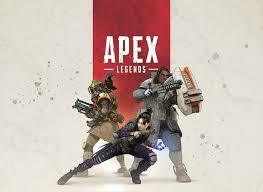 The popular video game development company Electronic world latest Battle Game Apex Legends has been launched in coming soon. This game has been launched to real challenge for PUBG. This game has played 2.5 million players in the first week. This game has been launched on February 4. Apex Legends has been included in the company's Fastest Growing Games. 10 million people registered this game even before the launch. Apex Legends can be played on the console and computer. Apart from this, the game is free-to-play like PUBG. You can play it on Personal Computer in addition to Sony PlayStation 4, Xbox One and other devices or gadgets. The game play of Apex Legends has been developed just like the Titanfall Universe. It works on the Titanfall fanbase as before. Like PUBG and Fortnite, Apex Legends also has to choose one of the set of players given to you. Apex Legends has a total of 8 characters in which Bangalore is a professional solder that can generate a smoke launcher and a thunder. Apart from this, there is a character bloodhound which is a technical tracker. After selecting these characters, you can make two squares together by creating two squares. The season of this game will start from March. Like Fortnite, Apex Legends Players can unlock any new characters. In this you will find Fresh Vipan in the new season.